Enriches warm tones in medium brown shades of hair. Contains organically grown clove to help enhance warm tones and purify the scalp. Organically grown coffee helps to intensify brown shades. 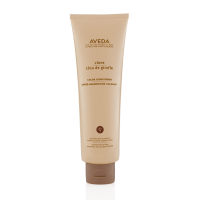 Apply to hair that has been shampooed with Clove colour Shampoo. Comb through. Leave on 2-5 minutes. Use every 2-3 shampoos for consistent, lasting colour enhancement.